Yes that is right, current world temperatures are cooler that the historical average of the “historic” period of recorded history, the last 6,000 years. How do we know? From the same ice cores that those trying to promote catastrophic human caused CO2 global warming have claimed back up their theory. 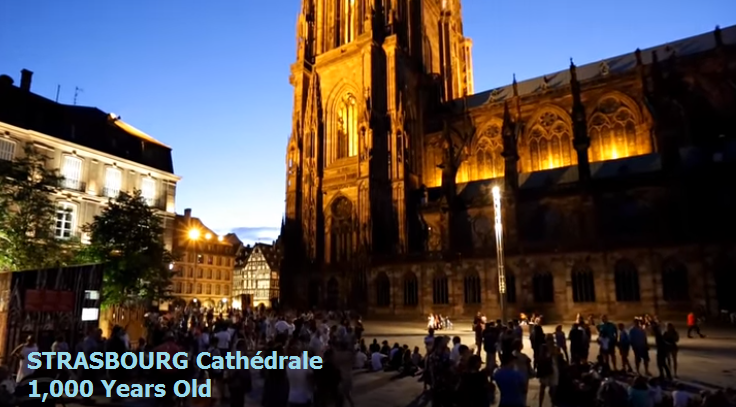 When this church was being built in France in 1015, Strasbourg Cathedral, the temperatures were about 1 full degree celsius higher that in 2016. 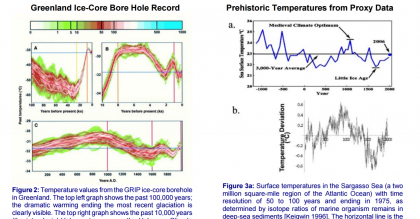 We know this through two methods, ice cores and deep sea marine organism isotope ratios. In fact from 2,000 BC back to 4,000 BC, during recorded human history, the Earth was about 2 degrees celsius warming than today. The central problems for policymakers in the debate over global warming are (a) is the reported warming trend real and how significant is it? (b) how much of the warming trend is due to natural causes and how much is due to human-generated greenhouse gases? and (c) would the effects of continued warming be harmful or beneficial to plant and wildlife and to human civilization? In this NIPCC report we have presented evidence that helps provide answers to all three questions. 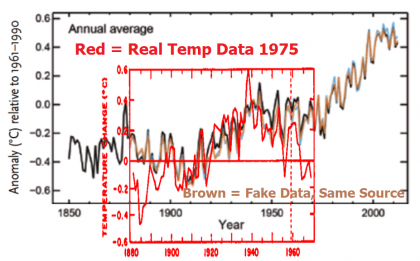 The extent of the modern warming – the subject of the first question – appears to be less than is claimed by the IPCC and in the popular media. We have documented shortcomings of surface data affected by urban heat islands and by the poor distribution of land-based observing stations. Data from oceans, covering 70 percent of the globe, are also subject to uncertainties. The only truly global observations come from weather satellites, and these have not shown any warming trend since 1998, for the past 10 years. This report shows conclusively that the human greenhouse gas contribution to current warming is insignificant. Our argument is based on the well- established and generally agreed-to ‘fingerprint’ method. Using data published by the IPCC and further elaborated in the U.S.-sponsored CCSP report, we have shown that observed temperature- trend patterns disagree sharply with those calculated from greenhouse models. It is significant that the IPCC has never made such a comparison, or it would have discovered the same result – namely that the current warming is primarily of natural origin rather than anthropogenic. Instead, the IPCC relied for its conclusion (on AGW) on circumstantial ‘evidence’ that does not hold up under scrutiny. 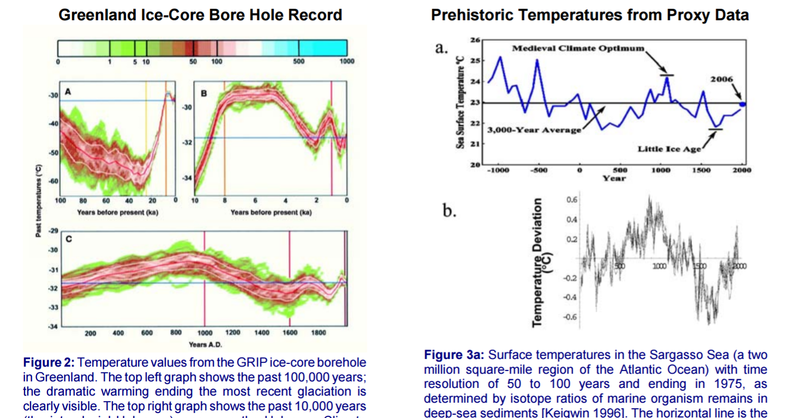 We show that the twentieth century is in no way unusual and that warming periods of greater magnitude have occurred in the historic past – without any catastrophic consequences. We also discuss the many shortcomings of climate models in trying to simulate what is happening in the real atmosphere. If the human contribution to global warming due to increased levels of greenhouse gases is insignificant, why do greenhouse gas models calculate large temperature increases, i.e., show high values of ‘climate sensitivity’? The most likely explanation is that models ignore the negative feedbacks that occur in the real atmosphere. New observations reported from satellites suggest it is the distribution of water vapor that could produce such strong negative feedbacks. If current warming is not due to increasing greenhouse gases, what are the natural causes that might be responsible for both warming and cooling episodes – as so amply demonstrated in the historic, pre-industrial climate record? Empirical evidence suggests very strongly that the main cause of warming and cooling on a decadal scale derives from solar activity via its modulation of cosmic rays that in turn affect atmospheric cloudiness. According to published research, cosmic-ray variations are also responsible for major climate changes observed in the paleo-record going back 500 million years. The third question concerns the effects of modest warming. A major scare associated with a putative future warming is a rapid rise in sea level, but even the IPCC has been scaling back its estimates. We show here that there will be little if any acceleration, and therefore no additional increase in the rate of ongoing sealevel rise. This holds true even if there is a decades-long warming, whether natural or manmade. Other effects of a putative increase in temperature and carbon dioxide are likely to be benign, promoting not only the growth of crops and forests but also benefiting human health. Ocean acidification is not judged to be a problem, as indicated by available data. After all, CO2 levels have been up to 20 times the present value during the Phanerozoic Period, the past 500 million years. During this time Earth’s climate has been remarkably stable, with no ‘run-away’ greenhouse effects – indicating strong negative feedbacks. Policy Implications: Our findings, if sustained, point to natural causes and a moderate warming trend with beneficial effects for humanity and wildlife. This has obvious policy implications: Schemes proposed for controlling CO2 emissions, including the Kyoto Protocol, proposals in the U.S. for federal and state actions, and proposals for a successor international treaty to Kyoto, are unnecessary, would be ineffective if implemented, and would waste resources that can better be applied to genuine societal problems [Singer, Revelle and Starr 1991; Lomborg 2007]. Even if a substantial part of global warming were due to greenhouse gases – and it is not – any control efforts currently contemplated would give only feeble results. For example, the Kyoto Protocol – even if punctiliously observed by all participating nations – would decrease calculated future temperatures by only 0.02 degrees C by 2050 [re-calculated from Parry et al. 1998], an undetectable amount. To sum up: This NIPCC report falsifies the principal IPCC conclusion that the reported warming (since 1979) is very likely caused by the human emission of greenhouse gases. In other words, increasing carbon dioxide is not responsible for current warming. Policies adopted and called for in the name of ‘fighting global warming’ are unnecessary. It is regrettable that the public debate over climate change, fueled by the errors and exaggerations contained in the reports of the IPCC, has strayed so far from scientific truth. It is an embarrassment to science that hype has replaced reason in the global debate over so important an issue. 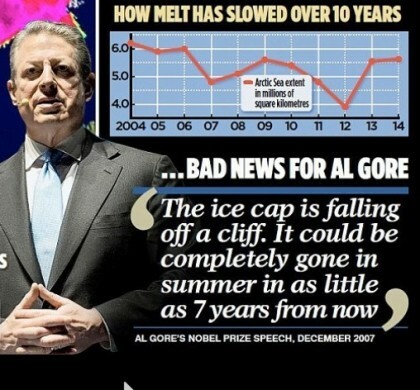 Business People Go To Jail For Faking Data, Will The Bernie Madoff’s Of Global Warming End Up In Slammer? Newer PostANTI-FREE SPEECH RIOT AT NYU: CRAZIER THAN BERKELEY?